The Fort William Accommodation Marketing Group (FWAMG) independent accommodation providers in the Fort William area announced they have reached £500k online bookings in May 2017. We chatted with the Vice Chairman of the group Andy Keen, who told us more about this success and the together group. Andy, when you launched the Together Booking Engine did you think that you would celebrate half a million pounds worth of bookings one day? What would you say was your successful formula to achieving that? The group was formed before the "Together" product existed. 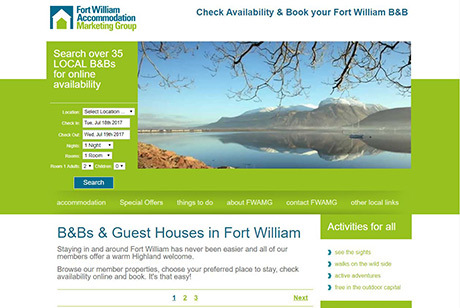 Our initial aim was to share a website to make ourselves more visible and to make it easier for B&Bs in Fort William to cross refer enquiries they could not handle thereby saving time, improving our mutual booking levels and providing a more streamlined service to our guests. It never occurred to us to put a number on the financial potential, we just knew it was the right way to go! 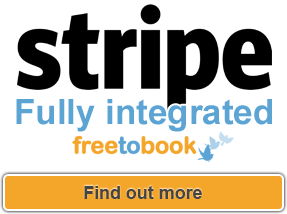 When freetobook's "Together" came along it allowed us to develop our ideas cost effectively. It gave us the ability to compete effectively in the market place against the suffocating power of the OTAs. £500k bookings say that the potential of local co-operation is being realised! Our business, on our terms, maintaining our profits. Can you tell us more about the group? You started with 8 properties, if I am not mistaken, and now there are more than 30 properties. What are the reasons for the growth? There are currently 37 members of FWAMG, ranging widely in size and grading. We are open to all B&B's in Fort William and the Glen Spean area. We have continued to develop our group website, advertise collectively and work closely with many local attractions (our availability search widget on their websites). We also work with local suppliers to offer preferential discounts and terms to members and we provide a forum through which members can get help, support and advice from their peers when they need it. We operate as a not-for-profit association so every penny we collect from members is ploughed back into advertising and benefits which all members can share. The returns from membership massively outweigh the annual cost. It is a win/win/win. 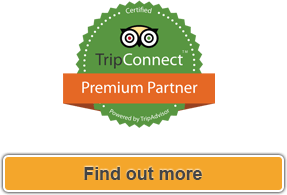 We win individually by reducing our costs and encouraging direct bookings. 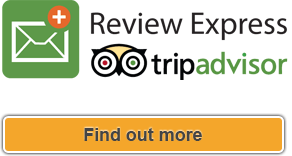 We win as a group by growing in size, visibility and influence within our area tourism sector. Our local economy wins because we strongly encourage local procurement and each has more money left in our collective pockets to spend with all manner of local businesses. After this great success, what is in store now for your Together Group? We strongly believe that the future of micro businesses such as ours is about co-operation, not hostile competition. To that end, we are looking to help to establish a national network of independent local groups like ourselves. By coming together we could raise the profile of all of the groups (including FWAMG) and provide many of the same benefits to businesses across the country that FWAMG provides to Fort William B&B's. Many groups exist already and others are in the early stages of coming together, it is only a question of making contact, finding common ground and presenting a united front to visitors based on the concepts of mutual cross referral and collective availability searches. We can start by simply linking to each other and to a "gateway" brand site, where that might lead – we can't know, but it is difficult to see how it can be anything but positive and empowering for individual B&Bs and our local economies in general. FWAMG will continue to grow, the "downturn" in sales in May was due to lack of capacity not lack of potential bookings! "We win as a group by growing in size, visibility and influence within our area tourism sector."